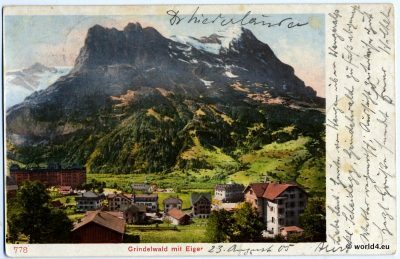 Grindelwald Switzerland. Back of postcard. An early postcard from the time of the beginning of mass tourism. On the front the panorama of snow-covered mountain massif shows around the Eiger. In the foreground is the then already famous mountain village of Grindelwald, with its Grand Hotels and large farms. She is described by hand and was sent to Düsseldorf in Germany on the 23.08.1905. 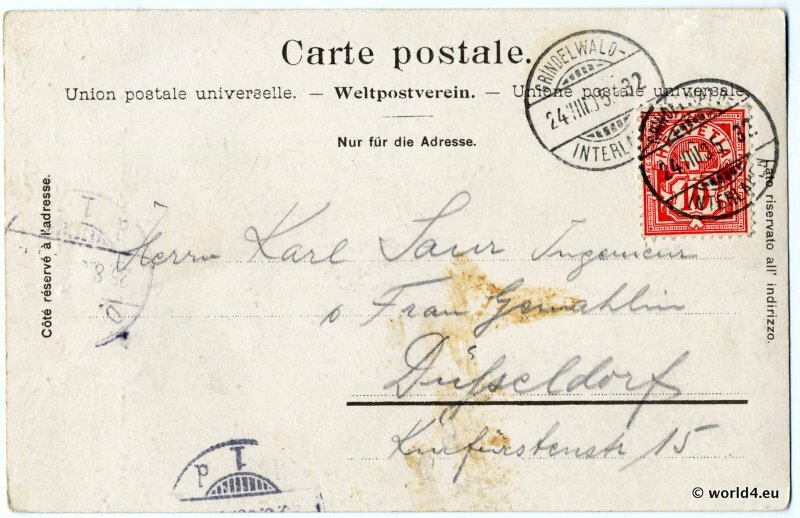 The back is adorned with beautiful postmarks and a 10 rapine stamp from switzerland. Next PostSalzburg Mirabell Gardens, Austria 1928.